Gastroenterologist: A gastroenterologist is a specialist who deals with the diseases of the digestive system, also known as the gastrointestinal tract. Gastroenterologists are the ones who possess extensive training in the diagnosis and treatment of all the conditions that affect the throat, stomach, small and large intestine, and biliary system including blood in stool, colonoscopy, crohn's disease, diarrhea, gall bladder problem, gastroenterology consultation, gastroscopy, stomach pain, vomiting, therapeutic endoscopy, intestinal problems and abdominal tumor. Gastroenterology is a subspecialty of internal medicine. Gastroenterologists are well versed with physical and chemical break down of food digestion, absorption of important nutrients and the removal of the waste products. The focus is on the digestive function of the liver. 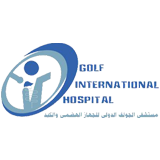 Here at Doctoruna, you can easily access the best and proficient Gastroenterologist in Cairo, specialized in digestive system diseases and problems.